Hi my name is Frankie and I opened Breath of Fresh Air in 2004 but have been planning events ever since I could remember. I love what I do and I believe it shows in the enthusiasm displayed while creating, planning and coordinating your special day. I hold a Bachelors of Science in Business Management, a certificate in Project Management and Wedding Planning. I believe it is my upbeat personality; my no nonsense approach to getting it done and attention to details are reasons why my clients hire me. How did Breath of Fresh Air come about? Well prior to launching my business, I did lots of events. 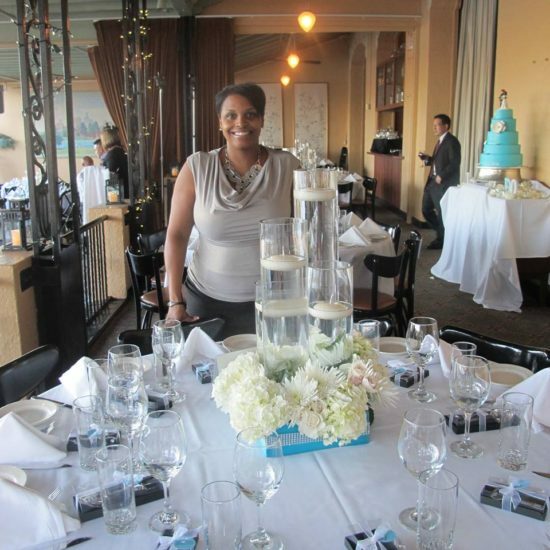 I fell in love with planning when I use to volunteer for corporate events at my job and gift my skills and services to family and friends at their special events. In a one week span in 2004 I received 3 separate Thank You cards saying what “A Breath of Fresh Air” I was in helping out with their events. So the name stuck. It is my true intention to provide a professional yet fun experience for each of my clients.